In our previous post, we explained how a company's promotional materials can work wonders for their business. But since the options for promotional materials are endless, especially when it comes to apparel, we decided to write a second blog post explaining the benefits that come from using our specialty heat press transfer machines. Let's take a closer look at how promotional products can elevate your company as a whole. No matter the promotional item you choose, whether it is a pen or a shirt, it will be passed along to plenty of different people. This means that consumers who may not have ever seen your product or heard your name will have their eyes open to what you can offer to them. Consumers are used to seeing typical marketing efforts of promotional flyers, social media posts, and newspaper advertisements. But having your company name show up on a t-shirt or bag can really elevate what customers think of you as they stand out like nothing else! 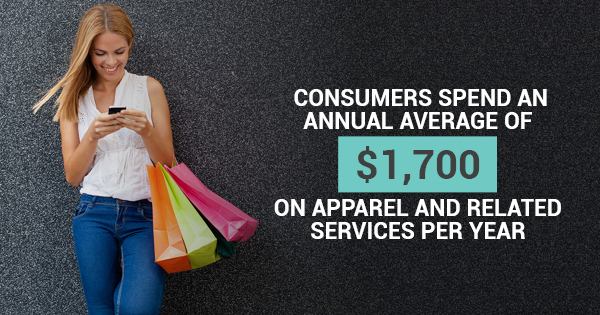 Plus, considering that consumers spend an annual average of $1,700 on apparel and related services per year, they already will be inspired to purchase these fun items and add them to their closets. A huge problem many companies face is being memorable and standing out to their customers. It's not always about getting business, it is about sustaining it. And having interesting promotional material can serve as a constant reminder of how you can help them and remind them to contact you. Not all customized apparel has to be given out to your clients. You can use these as gifts to your employees or even use them for employee recognition, giving your employees an excuse to wear your name and logo proudly. Not only will the people who use your products have a constant reminder of your products and services, the people who see them will, too! So this small investment will work doubly, reaching more people than you'd ever think. Using our heat press transfer machines to put your logo on clothing can really help boost your business efforts in more ways than one. If you have any questions or need any ideas on how to boost your current promotions, don't hesitate to contact us today!